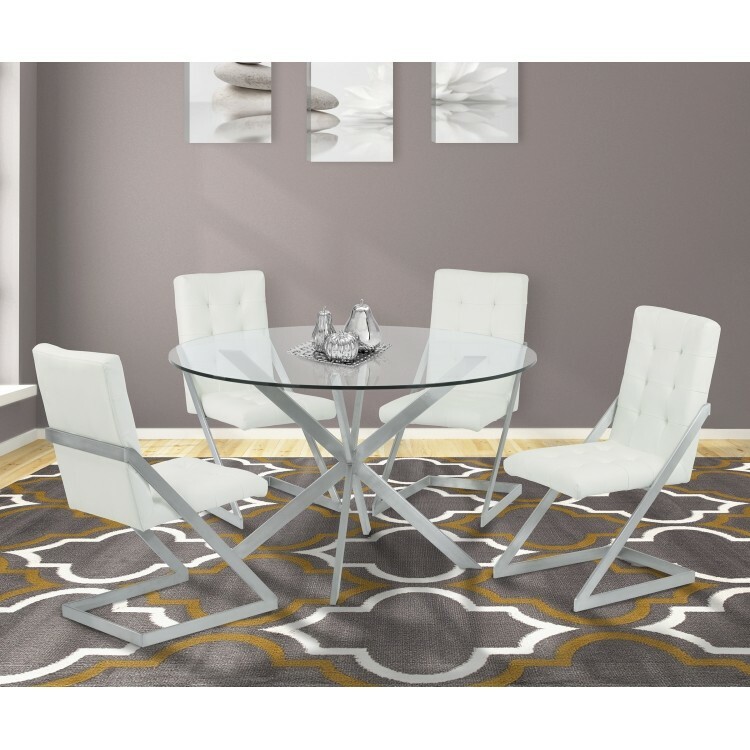 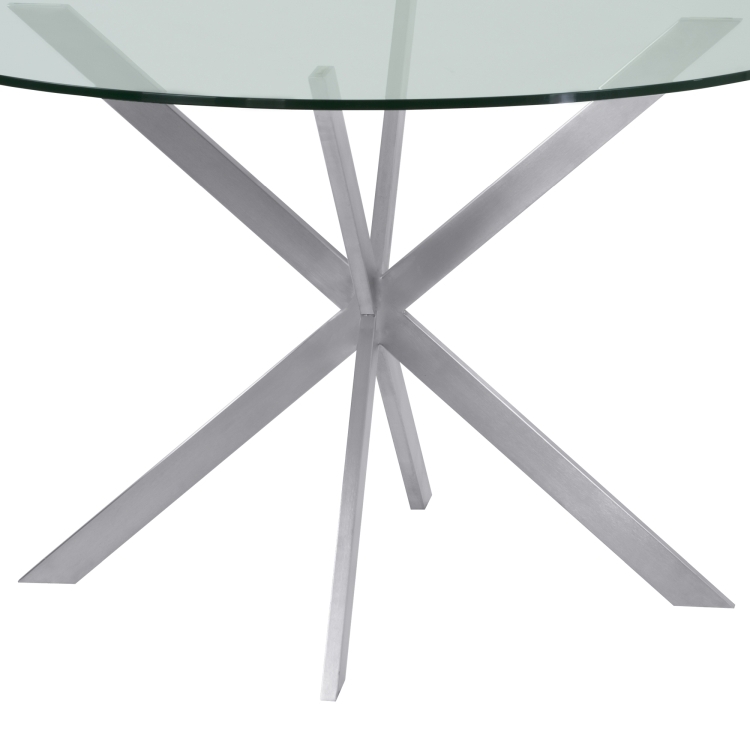 Description: The Armen Living Mystere contemporary dining table combines a beautiful four sided, cross-leg brushed stainless steel design with an exquisite glass top. 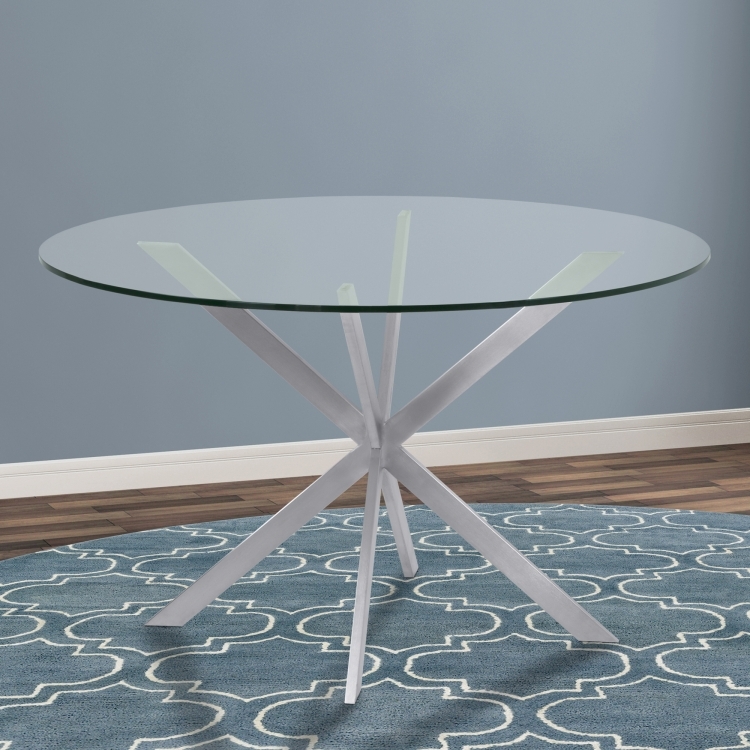 The modern design of the Mystere is chic and can serve as a wonderful addition to any dining room or function well in just about any other room of the house. 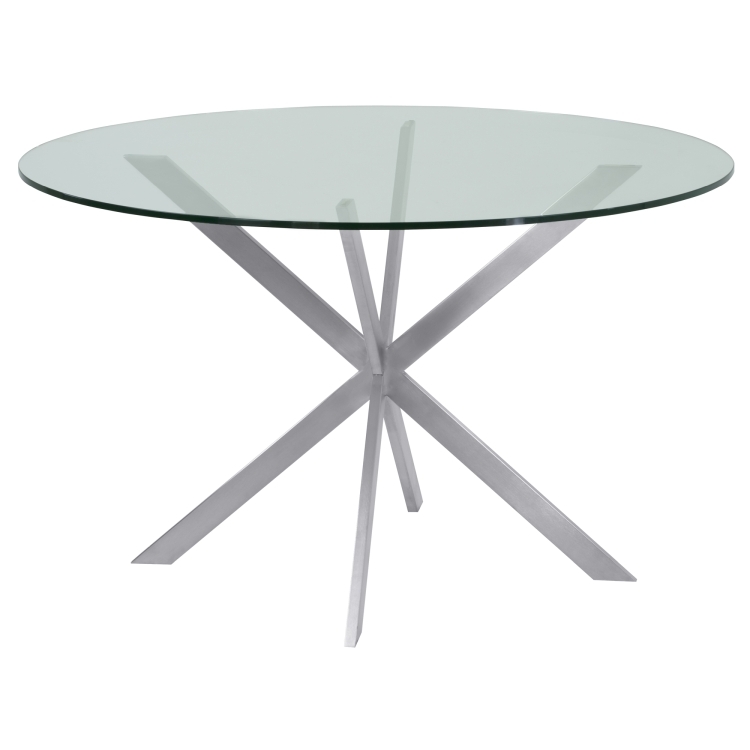 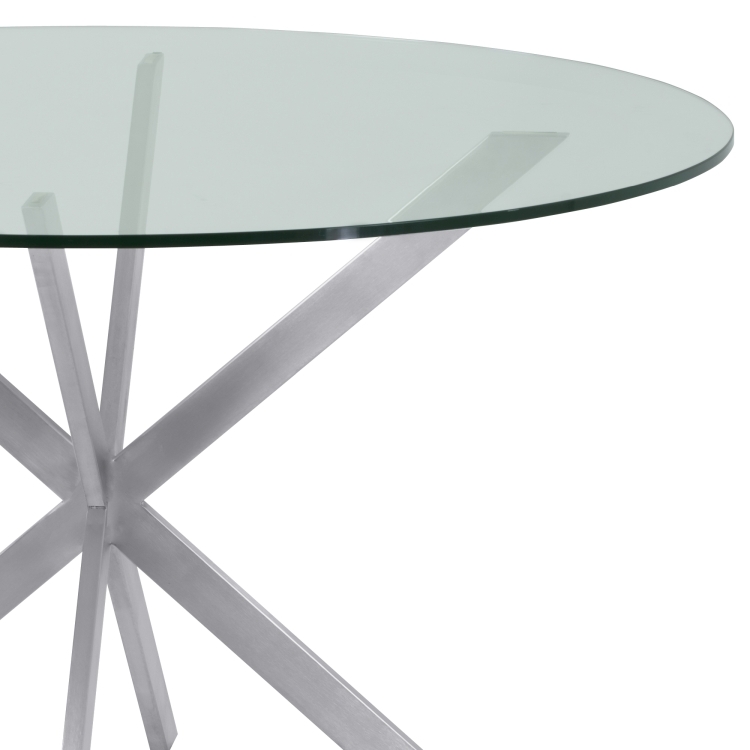 The Mystere tempared glass table top is available in two beautiful variations: transparent and gray.